Starting a business has never been so fast, easy and affordable. What Type of Corporation Should I Set Up? Forming a limited liability company protects your personal assets by keeping them separate from your business assets, and it provides the greatest flexibility available when it comes to taxation and business structure. An LLC is the most common choice for small businesses with a single proprietor or a small number of members, as it offers the protections of incorporation without the same requirements necessary for larger, multi-shareholder companies. S corporations offer specialized taxation that limits the company's liability. When you form an S corporation, the company itself isn't taxed. Instead, profits and losses are tallied and taxed after being distributed to shareholders. For this reason, an S corporation is most often chosen by companies incorporating with multiple shareholders, and is considered a good alternative to legal business partnership because it provides tax benefits without the overhead and complexity. In C corporations, profits are taxed at the business level before being distributed to shareholders, but the main feature of this type of incorporation is that it offers certain advantages that some companies require. 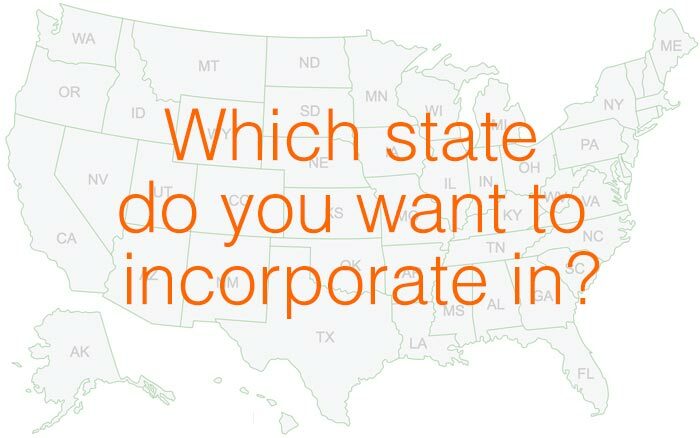 Specifically, a C corporation is the only option available for US companies choosing to work with foreign investors. Forming a C corporation also allows you more flexibility with shareholder involvement by making it possible to create multiple classes of stock. "Thanks. All went well. The information was received in a timely manner. Email responses were prompt. Will definitely use your services again in the future." "Thanks for the prompt response to our order. Everything went smoothly and our business is off to a great start." "I have used maxfilings many times and the best part is how easy you make things and how fast you get things done. Everything was set up perfectly. Thank you very much!" Still undecided? Let us help! You want to spend your time running your business, not dealing with paperwork. Let us handle the nuts and bolts while you get back to making your company a success. We keep you updated on every step of the process from start to finish, so there's no guessing and wondering. You'll always know where your company stands in the incorporation process. Incorporation is one step in the path to success, but the right online promotion gives your business the extra boost it needs to surpass the competition. Our partnerships with companies that serve entrepreneurs like you allow us to not only get your business incorporated, but help you build your brand's profile and grow your online presence. Learn more about our partnership with premiere marketing firm SEO Advantage, and find out how once we've helped you start your business, our partners can help you grow and thrive.